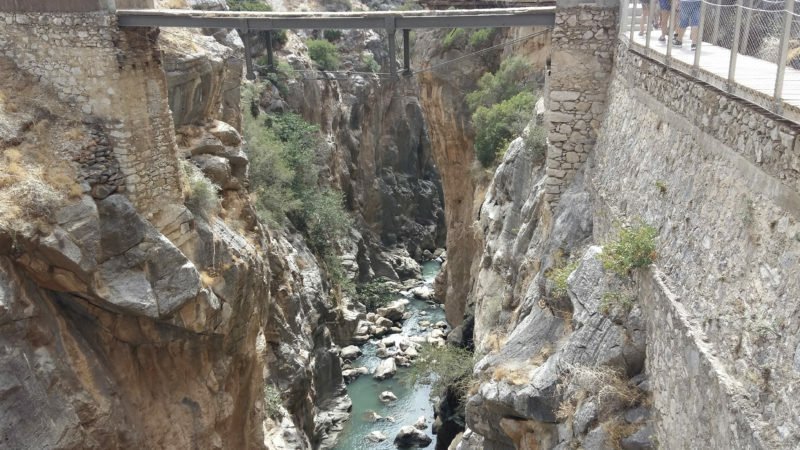 Almost 100 metres above the bottom of the ravine where the river Guadalhorce flows, the Caminito de Rey was originally a small service path that followed along the right bank of the Desfiladero de los Gaitanes. It connected the small El Gaitanejo dam with the El Chorro hydro-electric plant. This path, built at the beginning of the 20th century for a clearly functional purpose, soon became part of everyday life for the inhabitants of Chorro. Opened in 1921 by King Alfonso XIII after the construction of the El Chorro dam, later named the Conde de Guadalhorce dam, it was used by “children going to school, women to the shop and men to the bar” sometimes on foot, sometimes on horseback and sometimes by bicycle. 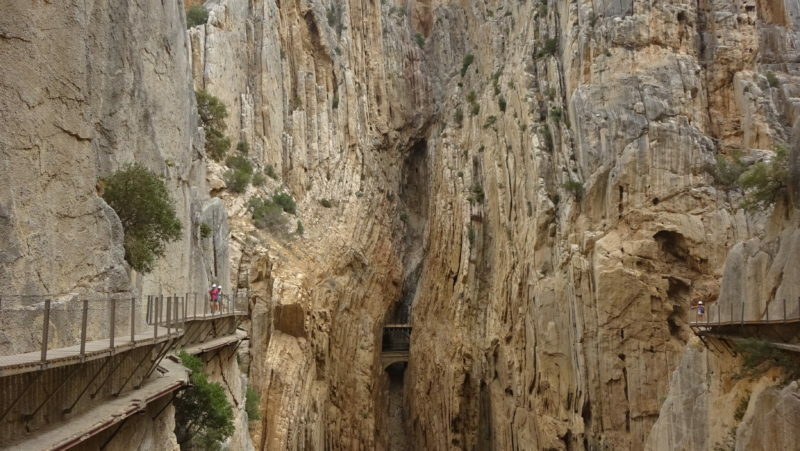 The total length of the Caminito del Rey is 7.7 km, of which 4.8 are access paths and 2.9 are footbridges. With reference to the footbridges (the most famous part), the distance from the start to the end is 2.9 km including 1.5 km of actual footbridges and 1.4 km of forest track or path. 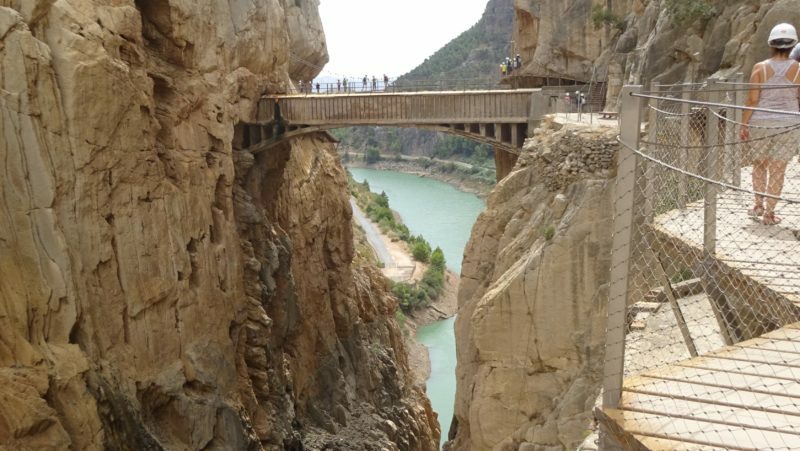 This humble Caminito del Rey runs impossibly along the Desfiladero de los Gaitanes, an impressive canyon opened by the Guadalhorce river in the limestone and dolomite, with a length of three kilometres, reaching heights of up to 300 metres and a width of less than 10 metres. Located in the centre of the province of Malaga, between the towns of Álora, Antequera and Ardales, where it is one of the most spectacular landscapes in the Malaga mountains.